Go all out this year and show up to Disneyland in your best Halloween costume. Disney always goes the extra mile to make Halloween Season a memorable one, but without the thousands of guests who come decked-out as zombies, fairy princesses and cowboys, the entire experience would not be the same. 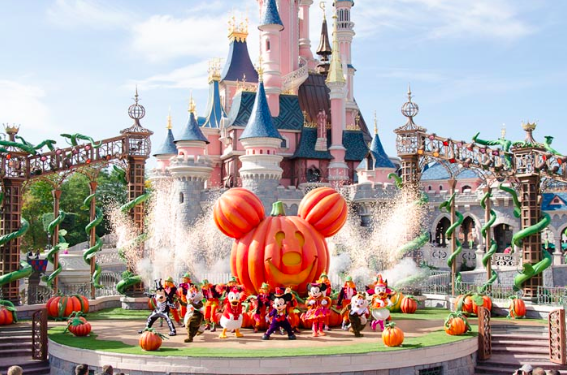 Whether you plan on attending Mickey’s Halloween Party or being spooked in the Haunted Mansion, Disneyland during the Halloween Season is so much more fun when you get in the spirit and engage the ghostly spirits. Halloween decorations will be up all around the park and you will notice them as soon as you enter and step on to Main Street. Get out your camera for a great photo opportunity by the huge pumpkin that greets you! Main Street shops are adorned with holiday colors and displays. Got a sweet tooth? Try some of the candy shop’s treats that are made special for the occasion. Is that Dracula over there, or just an old man with a cape? The show is just beginning. Get ready for some ghoulishly-good rides and attractions. Without a doubt, the hottest ticket in all of Disneyland is a ticket to attend Mickey’s Halloween Party. Held on select nights during the Halloween Season, Mickey, along with all his friends, will be on to make sure you are having a great time. The party starts in the evening and continues past regular Park hours. Dress up your toddlers, let your teens express their individuality, and become your favorite Disney character. Everyone who wants to Trick-or-Treat gets a big bag that they can fill with candy. There are candy stations scattered all around the Park. If you want to make the biggest candy score, visit on the last day of Halloween Season. All of the remaining Halloween candy has to be given out and it won’t take much effort to get those snickers bars and other sweet treats by the handful. Topping off Mickey’s Halloween Party is a festive Halloween Parade with hundreds of cast members showing getting into character and showing off their amazing costumes. If you were invited to the party, you’re invited to the parade. Man has only begun to learn about the universe and explore outer space. On this ride into the heavens, your space craft will take a turn into different dimension. As you travel through the galaxy, you will encounter ghostly ghouls, spirits and other spooky surprises. Hang on tight while you descend back down to planet earth. Doors creek and ghosts howl as you pass through the elaborately decorated rooms of the haunted house that has been converted to Jack Skellington’s Night Before Christmas. Look for the dark secrets that are revealed on the walls in the Portrait Chamber. Be on the lookout for the spooky surprises that await you when you pass through the Grand Ballroom. Be careful not to disturb the dead when you pose for a picture in the Graveyard. Everyone raves about the spectacular fireworks display that Disney rolls out each Halloween Season. Stake out a prime viewing spot and tilt your head up toward the sky. If you’re not afraid of getting scared, you’ll have a scary good time as you drop down the Tower of Terror amid the screams and howls of the spirits that live in the Twilight Zone. Meet some of your favorite Disney characters and maybe get an autograph or picture. This is a great place for younger kids and even adults who would rather not be frightened out of their pants. Kids can have fun making their own Halloween crafts. Everyone will get a kick out of the cool carved pumpkin demonstration and the artistic and imaginative designs of the orange gourds. Adults can let loose with their best monster moves on the dance floor over at the Mad T Party in Adventure Park. Relax in the lounge and have a cocktail. Watch Frankenstein dance. Is the monster better at doing the Moonwalk or the Robot? If you want to make sure you see the best of everything at both parks, go on a tour led by a Disney guide who can show you some of the things that you don’t see when you explore the park on your own. 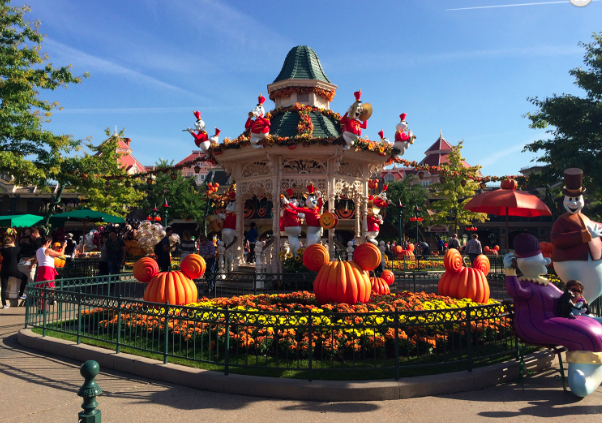 Disneyland’s 2014 Halloween Season runs through the end of October. 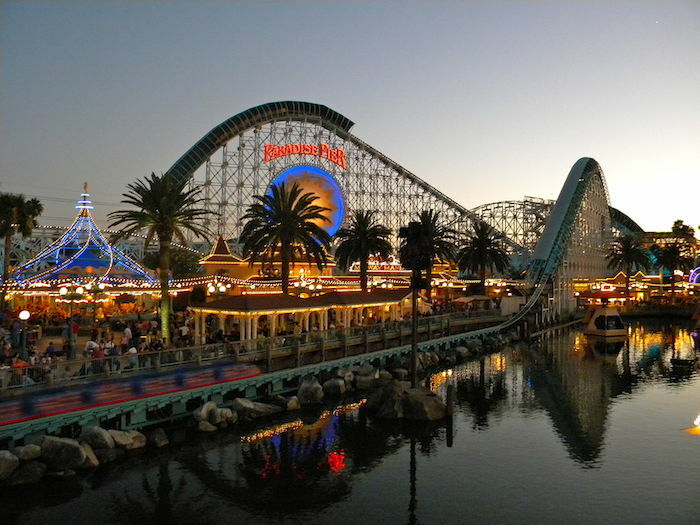 Only about a 10-minute walk from the Anaheim Express Inn Maingate, put on your costume and head over to Disneyland for a day, and night, of Halloween fun!